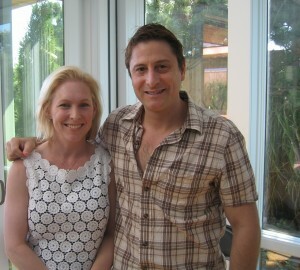 This weekend, I attended an event on Fire Island that featured Sen. Kirstin Gillibrand. She pledged to fight for the LGBT community in Washington and spoke of her support for equal rights. At the gathering, there were a few donors who strongly urged the Democratic party to do more on LGBT issues during a Q&A session. While largely supportive of the senator’s work, there was palpable frustration with the pace in Washington for repealing Don’t Ask/Don’t Tell and passing ENDA. Andrew Tobias, treasurer for the democratic party, made the case for supporting democrats in the upcoming elections, warning of the dire consequences for LGBT equality if Republicans win the House, Senate or both. Still, think how much easier it would be to persuade LGBT voters to show up if ENDA had been passed or DADT repealed? The case AGAINST the more radical elements of the GOP is an easy one. However, the case FOR the Democrats is much more difficult and complicated to make. The Democrats have controlled Washington for two years and while there has certainly been progress on LGBT issues, the big prizes — other than hate crimes legislation — have so far been elusive. Fear will send many Democratic voters to the polls in November. However, scaring people into voting against the bad guys and Mama Grizzlies in the other party is not a long-term strategy. The Democrats, particualrly on LGBT rights, have to sharply define who they are, what they stand for and then fight like hell for their beliefs. Now that prominent conservatives are speaking out in favor of marriage equality, the Dems have no more excuse to be timid. Whatever cover they they felt they needed to be bold, they now have, thanks to Ken Mehlman, Ted Olson and even Glenn Beck. A tipping point has occurred in America and the Democrats need to stop fearing a full embrace of LGBT equality. If they hold onto power, great things will be expected. Pointing to the Republican bogeyman will only work so many times before people become dispirited and demoralized. Unfortunately, this time around, the gay bashing, immigrant hating, Obama smearing bogeyman is all too real and must be addressed.